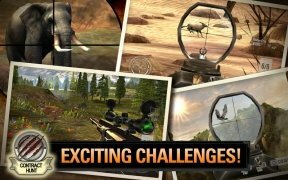 There are very few activities as brave as shooting a reindeer or elephant four hundred metres away, while you hide in the bushes. Therefore, it's now time to enjoy such a wonderful sport that consists in hunting down endangered species of exotic animals, without having to belong to the royal family. 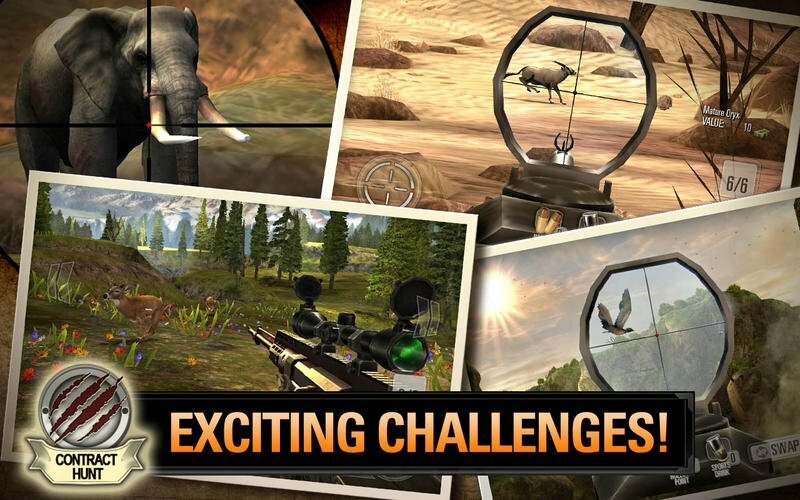 It's time to download Deer Hunter for Mac. 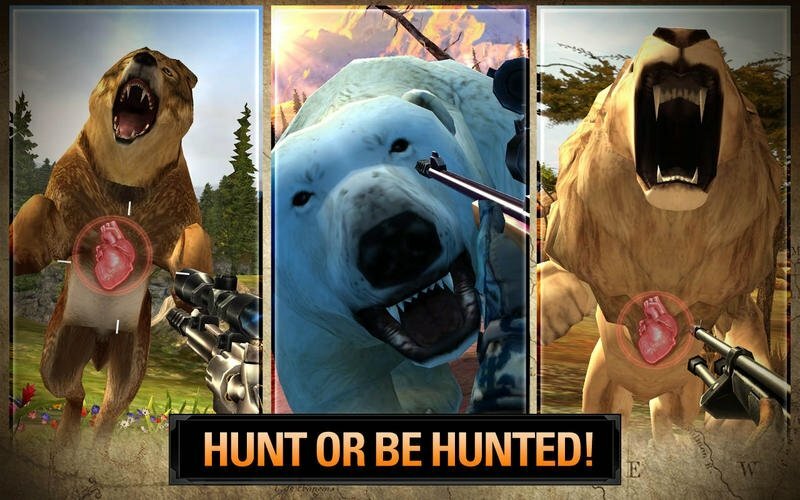 But what are those animals doing in their natural habitat? We had better wipe them out! 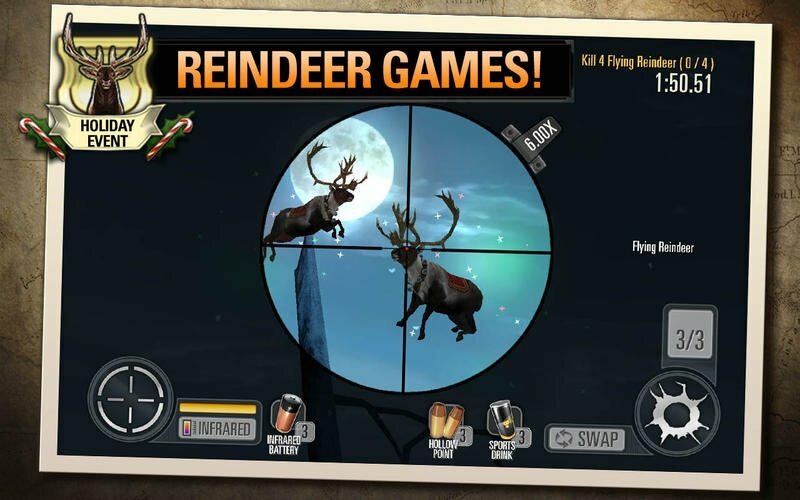 In Deer Hunter you will be able to aim at more than one hundred of the most beautiful and majestic species of the animal world so that you can feel like a king pressing the trigger. But be careful, this time around the animals won't be sedated or drunk so if any of them realize that you're lurking around, they'll probably want to settle scores with you. In any case, there's no need to worry, because as you prove your courage killing animals from a hideout, you'll be able to improve your weapons and firepower, which you can carry around the world, from the Polish forests to the savannah of Botswana. It would be the perfect game if it let you drive your SUV around forest tracks. Leave your busy modern city life aside for a few hours and leave the indelible trace of mankind on nature forever. 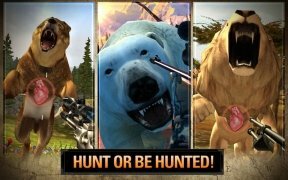 Kill animals of more than one hundred different species that are supposed to be dangerous and reinforce the position of human beings at the top of the food pyramid. 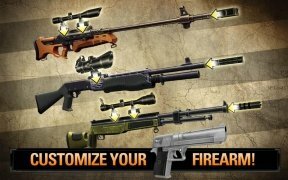 Customize your weapons with better cartridges, aims, butts, barrels and all sorts of accessories. Collect trophies which you can boast about in high-society lifestyle magazines. Use highly recommendable energy drinks to temper your shaky hands and improve your aim. 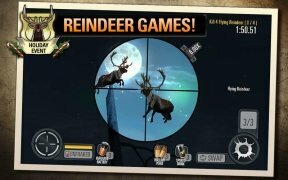 Subdue nature as it deserves, with gunshots, but without earning a bad reputation, thanks to Deer Hunter.